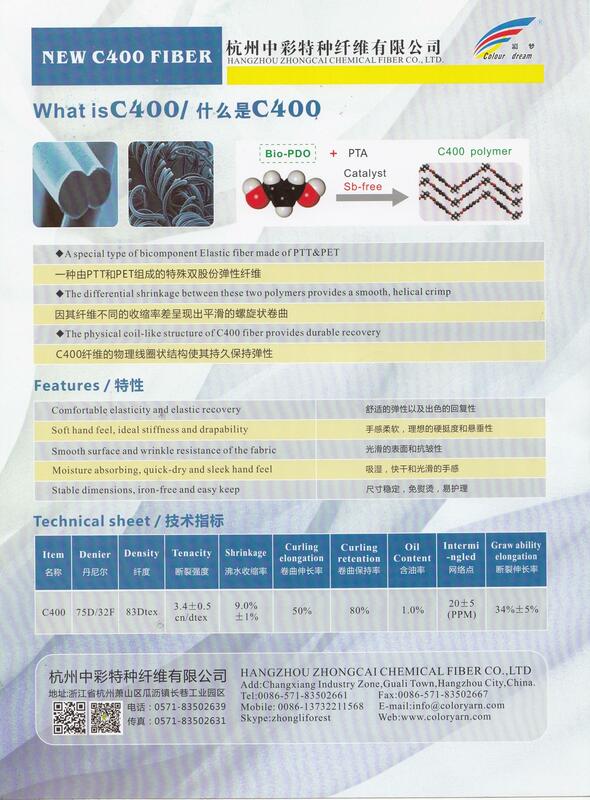 T400 yarn,PET /PTT bicomponent fiber 100% polyester FDY 50d/24f - 300d/64f. PET/PTT yarn, etc. 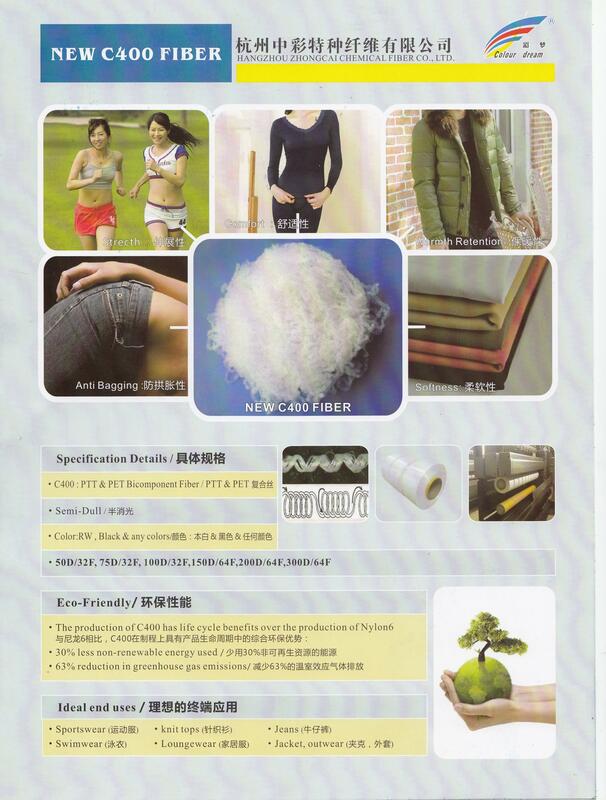 All of these products have good elasticity and crimp property, and can replace spandex in some field with easy dye and easy care. Advantages: dyeing easy, easy weaving process, stable fabric dimensions and can be directly woven on air-jet, water-jet and rapier looms.